Virtualization has changed the face of the data center. 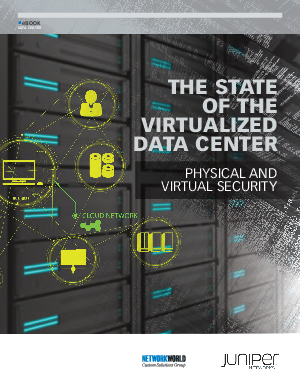 Today’s data centers are a mix of physical servers and virtual workloads, and require a more pervasive range of security as a result. With nearly every organization implementing some degree of cloud computing, virtualization security is as integral a component as traditional firewalls are in today’s networks. This is evidenced by the results of the Network World survey. At 59 percent, the majority of respondents report that network security is an upfront consideration when implementing new network technology. Network security is important because it’s the backbone of the larger security ecosystem. In the past, security measures were largely reactive. But IT organizations are becoming more proactive. They want to have a strategy in place as they implement initiatives around virtualization, cloud services, consolidation and modernization. And the strategy must be balanced with convenience and speed. Applications and Infrastructure-as-a-Service can be provisioned in minutes. Organizations need the ability to scale and flex the network and security to assure it serves the interest of the application. It is unacceptable for security to take a couple of months to catch up with the virtualized resources. Security should be constantly scaled and flexed in tandem with the physical network or SDN network or both.